Inventors tried many times over the centuries to build an effective portable calculator—but no one succeeded until John Merryman. In ancient times, the only alternative to mental arithmetic was the abacus, with its simple square frame, wooden rods and movable beads. Most civilizations, including the Romans, Chinese, Indians and Aztecs, had their own version—from counting boards for keeping track of sums to more sophisticated designs that could calculate square roots. We know of just one counting machine from antiquity that was more complex. 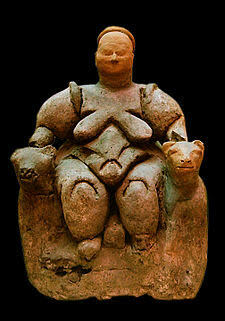 The 2nd-century B.C. Antikythera Mechanism, discovered in 1901 in the remains of an ancient Greek shipwreck, was a 30-geared bronze calculator that is believed to have been used to track the movement of the heavens. Despite its ingenious construction, the Antikythera had a limited range of capabilities: It could calculate dates and constellations and little else. In the 15th century, Leonardo da Vinci drew up designs for a mechanical calculating device that consisted of 13 “digit-registering” wheels. In 1967, IBM commissioned the Italian scholar and engineer Roberto Guatelli to build a replica based on the sketches. 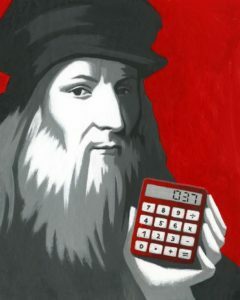 Guatelli believed that Leonardo had invented the first calculator, but other experts disagreed. In any case, it turned out that the metal wheels would have generated so much friction that the frame would probably have caught fire. Technological advances in clockmaking helped the French mathematician and inventor Blaise Pascal to build the first working mechanical calculator, called the Pascaline, in 1644. It wasn’t a fire hazard, and it could add and subtract. But the Pascaline was very expensive to make, fragile in the extreme, and far too limited to be really useful. Pascal only made 50 in his lifetime, of which less than 10 survive today. Perhaps the greatest calculator never to see the light of day was designed by Charles Babbage in the early 19th century. He actually designed two machines—the Difference Engine, which could perform arithmetic, and the Analytical Engine, which was theoretically capable of a range of functions from direct multiplication to parallel processing. Ada, Countess of Lovelace, the daughter of the poet Lord Byron, made important contributions to the development of Babbage’s Analytical Engine. According to the historian Walter Isaacson, Lovelace realized that any process based on logical symbols could be used to represent entities other than quantity—the same principle used in modern computing. Unfortunately, despite many years and thousands of pounds of government funding, Babbage only ever managed to build a small prototype of the Difference Engine. Even for most of the 20th century, his dream of a portable calculator stayed a dream, while the go-to instrument for doing large sums remained the slide rule. It took Merryman’s invention to allow us all to become “excellent men” and leave the labor of calculation to the machines.